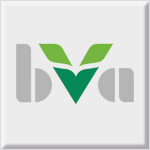 For the health insurances BVA and KFA you can settle your costs with your eCard. Please do not forget to take her with you. All other insurances do not charge directly with us. You will therefore receive a fee, which you then submit to your health insurance company in person or by post for partial reimbursement. An ordination costs 120 €, the reimbursement amounts are depending on health insurance and performance between 25 and 60 €. Unfortunately we can not accept any new patients at the moment. We ask for your understanding. KFA BVA: We may inform you about the costs in your pregnancy in advance. The MUKI examinations and all examinations in case of acute complaints or control duties pay your insurance via eCard. ALL INSURANCE OTHER THAN KFA AND BVA: We may inform you about the costs in your pregnancy in advance. Please note that you can submit all costs to your health insurance, but only 80% of the health insurance benefits will be reimbursed for the 5 MUKI examinations. All other examinations, which are not prescribed by the MUKI, we settle with 80 €. Payment is by default BAR or MAESTRO. You can also take out a special-class insurance during pregnancy or before IVF treatment. Information is available from us.